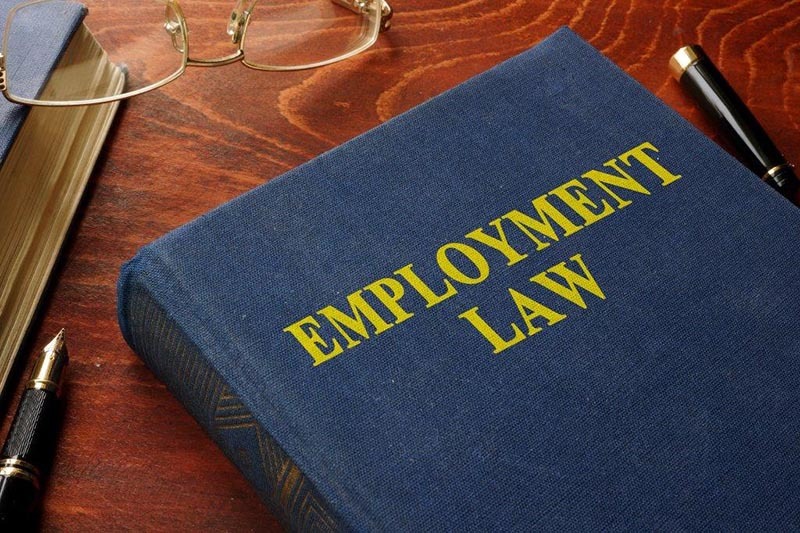 Having trouble understanding employment laws in Alberta? Don't miss this easy-to-read guide for both employees and employers. Alberta has unique employee protections, worlds apart from other places on the planet, or even its neighbor, the USA. In the USA, employees can get terminated at will by their employer, while Canadian employers must provide notice or pay to their employees. Whether you're beginning to do business in Canada from overseas or if you're starting a new business, you should know the employment laws in Alberta. You should never hire employees without knowing about employment laws. If you're outsourcing workers or hiring from another state or province, be sure you're aware of the laws protecting your workers where they live. If you're an employee interested in knowing about the recent changes to the Alberta employment code, you'll be surprised how things have improved. For employers looking into employment laws in Alberta, you'll see the government provides protections which have been proven to improve satisfaction. Keep reading for more information. You might be surprised to learn that, until last year, there were still laws in place allowing employers to pay people with disabilities less than minimum wage. With the changes to the Employment Standards Code, this is no longer the case. Even though no permits allowing employers to engage in this practice have been issued for the last decade, taking the law out of circulation is a major step. This amendment allows people of all abilities to feel protected under the law. Another major change disallows employers and restaurant owners to take deductions from employees based on bad work or shortages. In the past, restaurant owners would hold waitstaff responsible if patrons left without eating. Deductions from their pay will now be illegal. This practice has found its way into convenience stores, delis, and even retail shops where customers leave with inventory. If you own a small business, you should get to know how these changes will affect you. There are also changes coming to conditions for a leave of absence. Maternity leave will be extended from 15 to 16 weeks because there's a one-week waiting time for Employment Insurance benefits to take effect. Employees will also find that they're protected from termination during leaves of absence or maternity leave unless a business is closed. Compassionate care rules have also been modified. Length of time allowed for leave under these conditions was 8 weeks and has been lengthened to 27 weeks. This specific number was chosen to align with the scheduling of Employment Insurance. Caregiver status will now include secondary or non-primary caregivers, meaning that extended family can care for an ill family member. If you're caring for someone with a chronic condition, you'll be able to break up your caregiving into a few sections instead of the previous two installments. Along with this, employees will now be able to give a 48-hour return to work notice rather than the previous two weeks. This can work out better for both employees and employers who want to keep work from piling up. There are additional protections which are unique to Alberta. If a child dies or disappears as the result of a crime, unpaid leave is now allowed for up to 104 weeks. If a child disappeared due to a crime, there is a 52 week unpaid leave period. For children who are critically ill, parents are now allowed to take 36 weeks of unpaid leave. If employees become ill or injured, they are allowed 16 weeks of unpaid leave. Another important change to the code is the addition of domestic violence leave. Employees can take 10 days off if they're victims of domestic abuse. Employers have long been allowed to ask employees to work compressed work weeks, as in 4 ten-hour days instead of 5 eight-hour days a week. Now employees who may feel they're working extra hours can enter into a written averaging agreement for one to twelve weeks. The purpose of this agreement is to see if the employee is entitled to overtime pay or paid time off. While some industries see regular fluctuation, scheduling must not exceed 12-hour shifts per day and weekly averages must stay below 44 hours. Overtime agreements will now allow employees 1.5 hours of paid time off for each hour of overtime worked. This is an increase of 1 hour per overtime hour. Employees will now have six months to spend this time, rather than the previous 3 months. Previously, employees were required to work 30 days to be eligible for holiday pay. This law was changed so that every employee can get holiday pay. As an added bonus, employees will receive holiday pay even when they're not scheduled to work. Holiday pay will be calculated based on the previous 4 weeks worked. Employment laws in Alberta now allow for employees to get 5% of that figure for a holiday. Minimum vacation entitlements are calculated based on continuous employment. If there are breaks in employment of 90 days or less, the government will now consider this as continuous employment. Vacation time is now allowed in half-day periods. The code now states that employees have to get paid for two weeks of their total wages (or 4%) for vacation pay. After 5 years of employment, they're entitled to at least 6%. When an employee gives notice, employers are allowed to force employees to use up all of their vacation and overtime during that period of two or more weeks. This will be prohibited and employees will be allowed to work for the remaining two weeks while getting a paid equivalent of those entitlements. Indefinite temporary layoffs are eliminated by the changes to the code. Layoffs will be limited to 60 days. Longer than that would require employers to calculate termination pay. Employers will now be required to give two weeks notice in advance. Any kinds of probationary periods for workers are now 90 days. If there are breaks in employment under 90 days within that period, they will be considered part of continuous employment. There are some fantastic new protections for employers and employees that allow for better communication regarding terms of employment. As there are many more changes not listed here, you should get to know all of the changes to employment laws in Alberta. If you're interested in doing business in Alberta or need help dealing with any perceived violation of these terms, contact us today. This entry was posted in employment laws in alberta by verhaeghelaw. Bookmark the permalink.